Young videographers throughout Asean will have to work quick if they want to submit entries in this year’s ASEAN Youth Video Contest, with first round submissions closing on February 19. 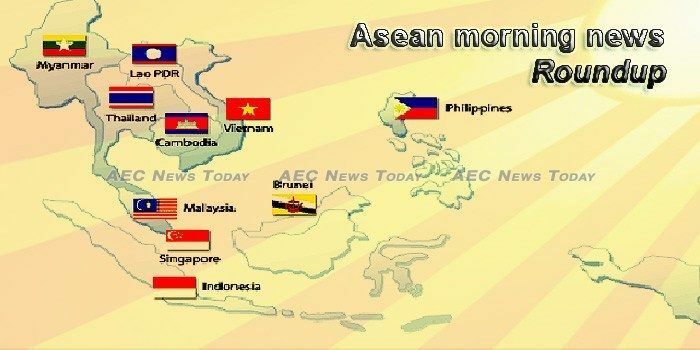 With structural shifts in regional value chains, the Asean+3 region — including the 10 Asean countries as well as China, Japan, and South Korea — has itself become a key source of final demand for the region, which should also cushion it from external trade conflicts such as that between the United States and China, said the Asean+3 Macroeconomic Research Office (AMRO) in a Jan 21 policy issue note. Philippine-based businesses are the most optimistic in Southeast Asia in terms of outlook on the local economy this year, according to Grant Thornton’s International Business Report (IBR). On December 31, 2018, US President Donald Trump signed the “Asia Reassurance Initiative Act” or ARIA into law after it was approved by the Senate on December 19, 2018. RESPONDENTS from Brunei Darussalam to a recent regional survey have pinpointed “economic downturn” as the top security challenge in Southeast Asia. With the noble goal of pushing a country’s population towards healthier alternatives, the sugar tax is a much-debated topic. For many years Southeast Asia has been a cautionary tale for what not to do in terms of energy sector economics. America got into World War II because of Vietnam. When the Japanese conquered what was then French Indochina in September 1941, the U.S. replied with severe economic sanctions, which convinced the Japanese that America was hostile and might use its fleet to block Tokyo’s conquest of Southeast Asia. As the 2018 ASEAN Chair, Singapore deserves high praise for driving forward a resilient and innovative ASEAN community as well as bringing about several agreements designed to invigorate the region’s digital economy. Tigers once roamed wild and free across the jungles of the world. As apex predators, life was good. As Cambodia heads towards a head-on crash with the European Union (EU) and the United States government over political freedom and human rights, disturbing video has emerged of Cambodia police shooting at protestors in Sihanoukville, in the country’s southwest. A businessman leaves a smoky room US$1,500 (S$2,040) poorer from a game of baccarat at a casino in Sihanoukville – an increasingly common scene in the Cambodian beachtown as it becomes a honeypot for Chinese gamblers and investors at a pace worrying marginalised locals. In a bid to reduce costs for businesses and make Cambodian products more competitive, the government will eliminate several district-level agencies as well as Kampuchea Shipping Agency and Brokers, also known as Kamsab. Indonesia is seeking new avenues to deploy a part of its $8 billion Hajj funds. Indonesian president Joko Widodo’s move to grant remission to I Nyoman Susrama, the convicted mastermind behind the murder of Radar Bali journalist Anak Agung Gde Bagus Narendra Prabangsa, has disappointed and hurt the Indonesian press community. The government is anticipating a significant drop in the amount of foreign grants it will receive this year, so the country will have to make some policy changes to sustain revenue generation. THE VICTIMS of the Xi Pian-Xe Namnoi Dam collapse may not be able to return to their normal lives any time soon because the locations of their new villages and farmlands are unsuitable for living and farming. Tourism-related businesses should make adjustments for the additional Chinese tourists that the government expects will visit this year, a leading business figure says. With the noble goal of pushing a country’s population towards healthier alternatives, the sugar tax is a much-debated topic. While critics deride the policy as ineffective due to consumers’ resistance to change, its supporters hail the tax primarily as a means to curb soaring obesity rates, tooth decay and non-communicable diseases (NCD) such as diabetes, heart attack and cancer. A double bomb attack during services at a Roman Catholic cathedral killed at least 18 people on a southern Philippines island. The first quarter gross domestic product (GDP) growth may suffer due to the delay in the passage of the 2019 General Appropriations Act (GAA), the Department of Finance (DOF) said. The Philippines government spending on infrastructure may have hit 6.2 per cent of the country’s economy in 2018, a continuation of the fast-tracked spending under President Rodrigo Duterte’s ambitious “Build, Build, Build” programme. Are Japanese universities losing their appeal to international students? Revealed in the 2019 Times Higher Education (THE) University Rankings which cover more than 1,250 universities worldwide, only one Japanese university made it to the top 100 – Kyoto University (ranked 65th) – leaving behind the rest of Japanese institutions of higher education flagging in their prestige and appeal to domestic and international learners. AUDITORS are to come under greater scrutiny in one of the biggest overhauls of accountancy oversight in Singapore, which could see the Singapore Exchange Regulation (SGX RegCo) ordering second audit on listed companies with clean audits if something does not smell right. The Thai government has been asked by FIFA’s leadership to release a Bahraini soccer player who is in detention while embroiled in extradition proceedings despite having refugee status in Australia.